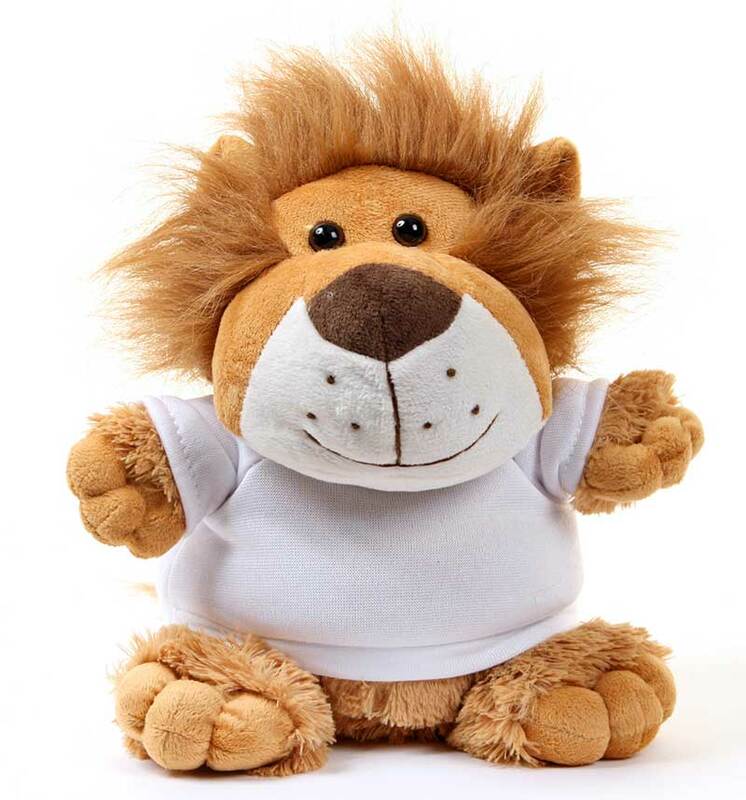 Our personalised soft toy simply animals make a great gift! 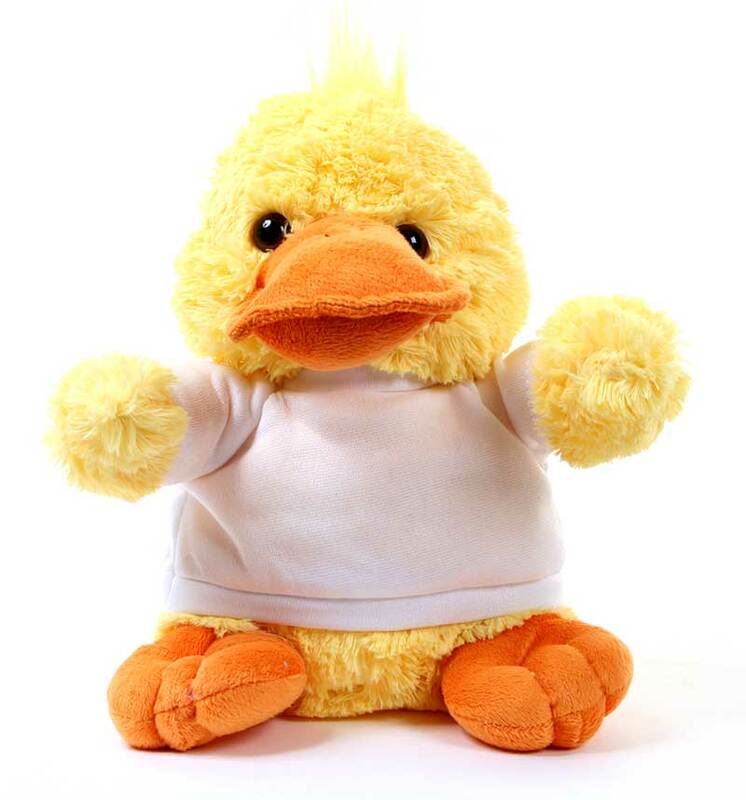 We print on their stylist t-shirt, you choose from the cutest Bear, a mooooo Cow, a ferocious Lion, a quacker of a Duck or a pedigree Puppy Dog! The animal's t-shirt is personalised to include your recipient's name. 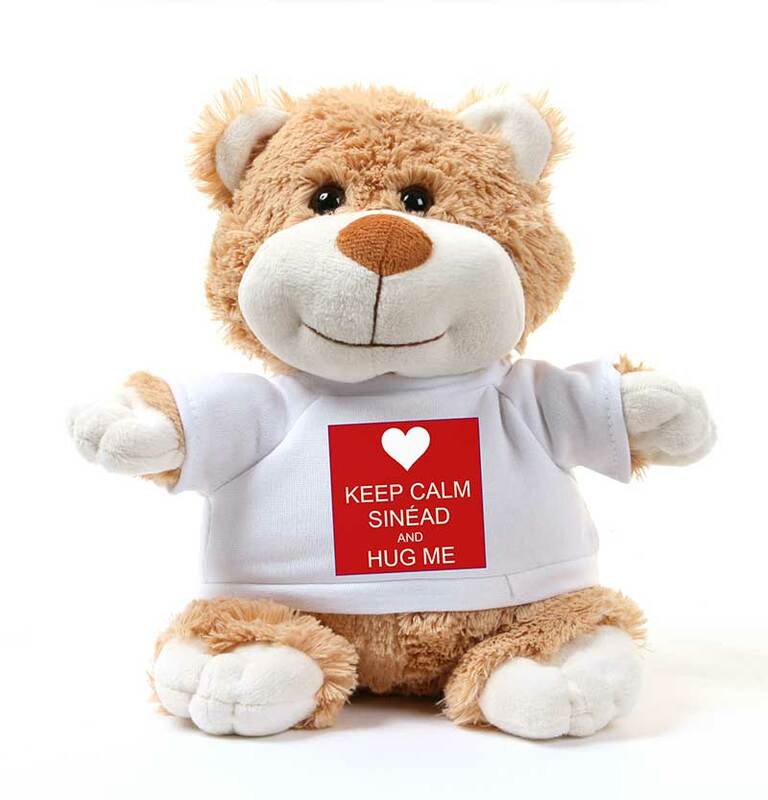 The message reads KEEP CALM [NAME] AND HUG ME. Birthdays, Anniversaries, Weddings, Valentine's Day, Christmas, Sorry, Romantic Occasions, or any other occasion etc. 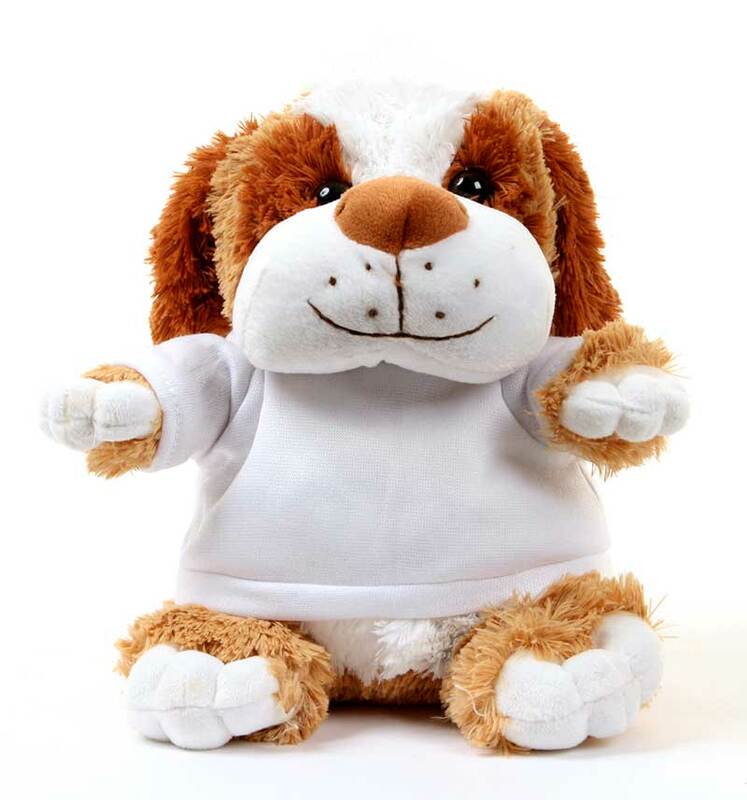 the list of possible occasions for this gift is endless but all have the same outcome... your recipient will be thrilled and treasure this little fella for years to come!